Last year was dominated by 90s nostalgia, wire edging and round tortoiseshell frames, but the New Year brings a swathe of exciting new designer glasses and sunglasses trends for 2019. Thick-rimmed and oversized – your grandad’s glasses are back in a big way this year, with the catwalks crawling with 70s-inspired spectacles and sunglasses. Although large wire-frames remain one of the most popular eyewear trends 2019, they’re being nudged out by chunky acetate designer glasses in pastels and olive greens. And talking of big, many designers are adding literal edge to the classic round spectacle by embracing hexagons and octagons. Likewise, oversized, this trend can range from subtle angular frames to geometric statement piece so you can tone it up or down depending on your style. Meanwhile, the ‘Kardashian effect’ is set to shift our attention away from tiny frames to visor-like futuristic styles. Inspired by active eyewear, these angular sunglasses come in a variety of sizes – from regular to half-face coverage – and are guaranteed to turn heads when worn anywhere that isn’t the cycling track. 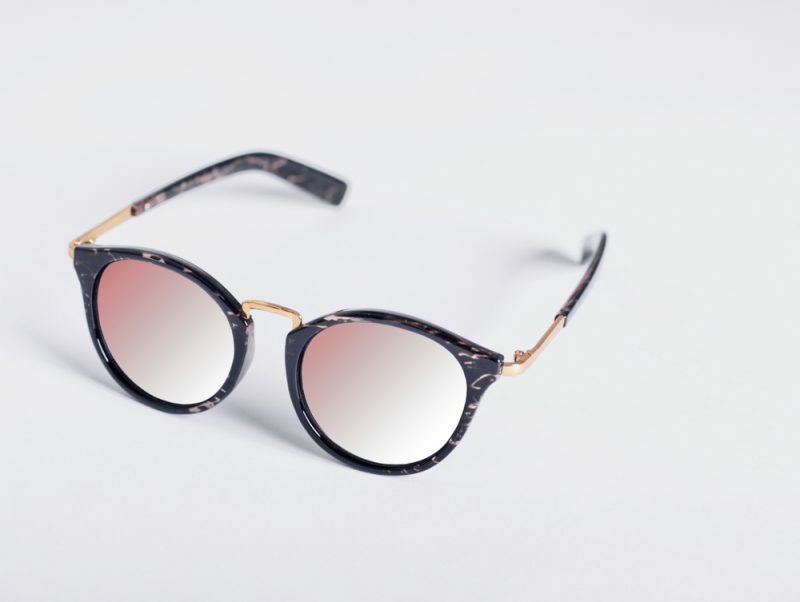 Tinted sunglasses have been a summer wardrobe staple the last few years, and now the style is filtering into prescription glasses as one of the hottest eyewear trends in 2019. 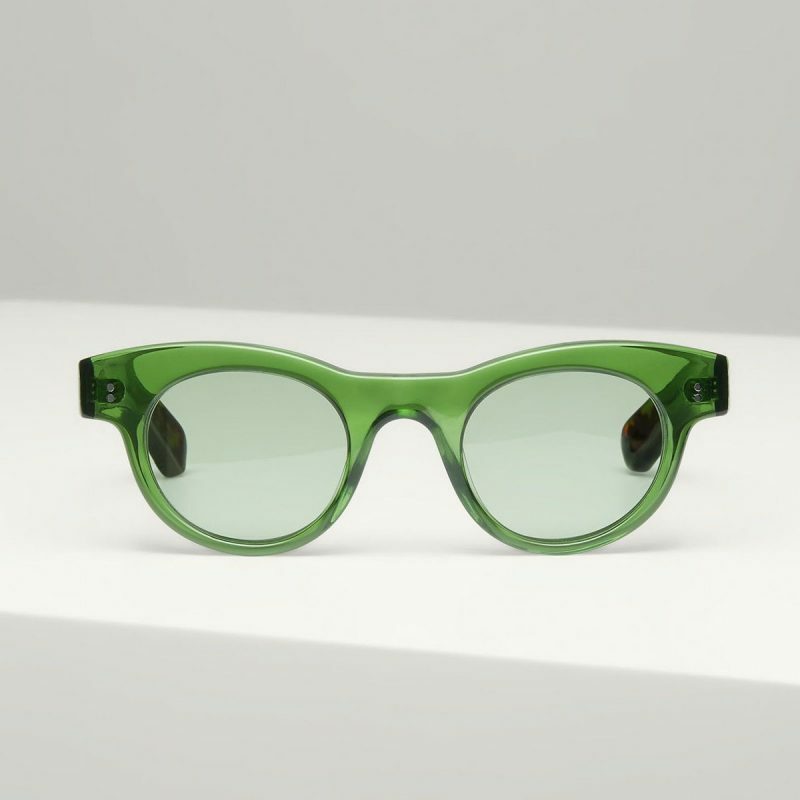 Indoor lenses are set to feature very light tints – pinks, blues, greens, yellows – often graded for a subtle yet unusual finish to the latest SS19 glasses collections. 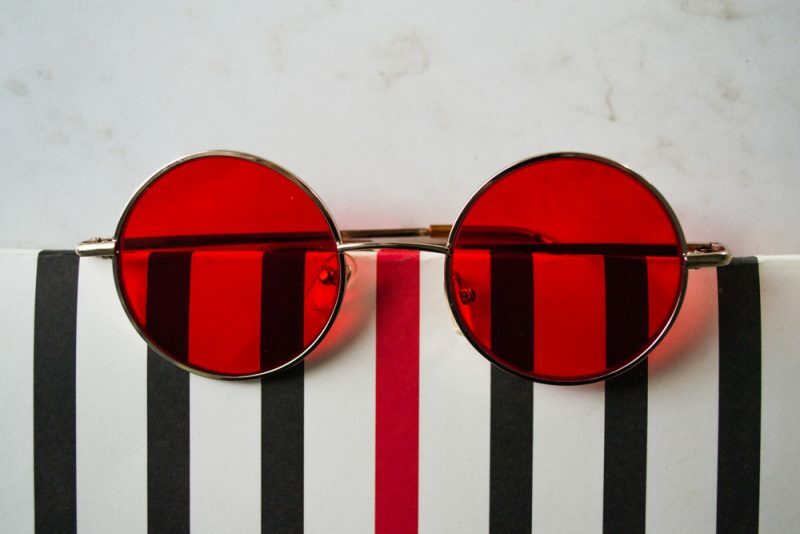 And not to subtly, you’ll also be seeing red this year as bright red lenses are the sunglasses trends of 2019 to watch. Their bold colour makes these shades the perfect accessory to add flare to neutral outfits or to go full retro with head to toe brights. 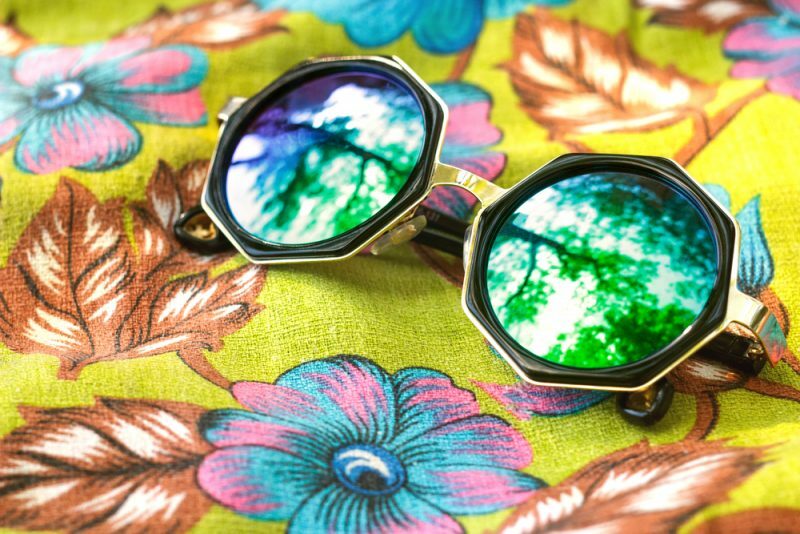 We also expect mirrored lenses to adorn the fashion elites’ faces this year – whether on the ski slopes or out on the beach – perhaps incorporated into futuristically shaped frames. Rose gold is seeping from the realms of interior design and jewellery into the SS19 glasses of our favourite eyewear designers. The softer metallic tone will feature in classic wireframe designs and in eye-catching detailing on temples and bridges. Famous for its ability to complement skin tones, olive green acetate is also making a comeback in designer glasses collections. Could it prove a match for the mighty tortoiseshell in 2019? And with tinted lenses a must-watch, designers are matching lens tint and frame colour in a trend dubbed ‘blending’. 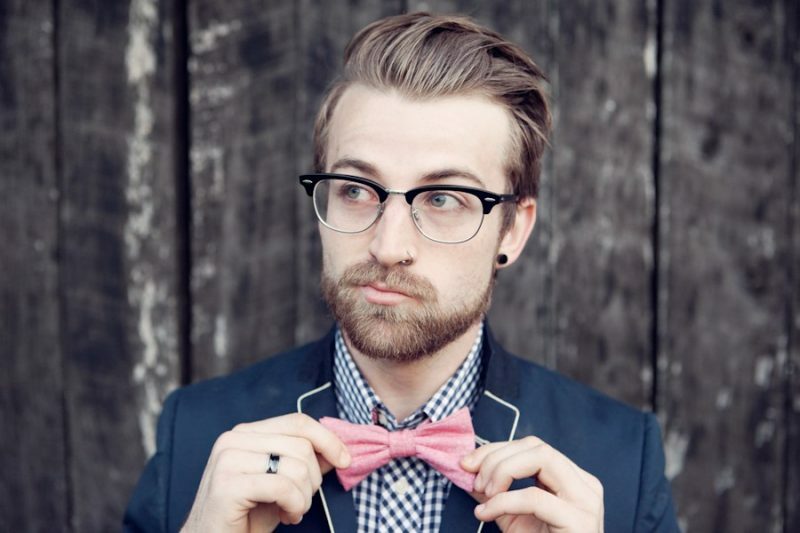 This ‘blended’ style makes for a bold look, whether you’re rocking all-in-red or teal-throughout shades. Watch out for feature brow bars – one of the hottest sunglasses trends for 2019 – with many designers incorporating bold, clean lines without embellishments to accentuate the brow line. 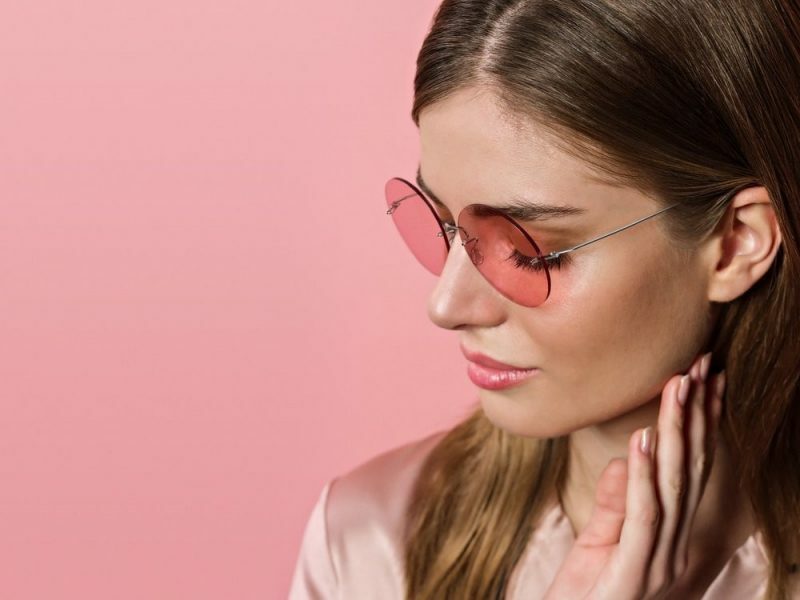 Why not try on the latest eyewear trends of 2019 for yourself at OPTIX Opticians at Broadgate? Contact us on 020 7628 0330 or get in touch with us online to find out more!